Home » News » News and Events » Congrats Liz on graduating! 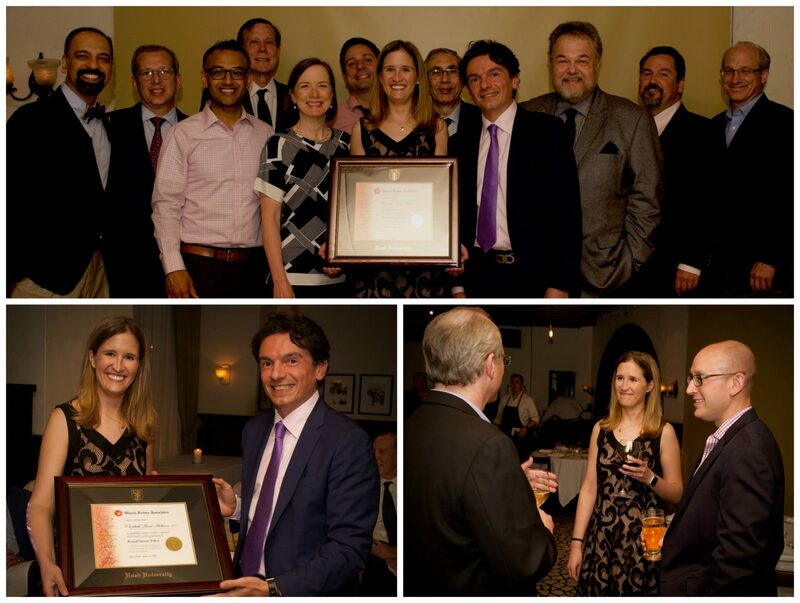 Illinois Retina Associates held their graduation dinner for Elizabeth Atchison, MD in downtown Chicago this month. Dr. Atchison has had a successful 2 year fellowship at Illinois Retina. She has been first author of two peer-reviewed journals, five non-peer-reviewed journals, presented two posters at national and international meetings, and will be presenting on podium at the upcoming ASRS Annual Meeting in Vancouver, Canada. She also was awarded First Place at Ophthalmology Times Research Scholar Honoree Program 2017. Congrats Liz on a wonderful two years! Atchison EA, Barry CN, Lum F, Mattox C, MacCumber MW. “The real world effect of anti-VEGF injections on IOP using the IRIS ® registry.” Ophthalmology 2018; 125(5):676-682.